A Vietnamese cannabis factory worker's body was "dumped" on a mountainside along with his clothes and documents, an inquest heard. A man looking for somewhere to bury a cat made the discovery near Abercynon, Rhondda Cynon Taff, in December 2014. 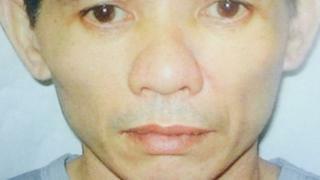 Min Duc Hoang, 41, had been involved in large-scale cannabis growing in Newport. A coroner has recorded an open conclusion at an Aberdare inquest, with the cause of death "unascertained". There were no visible injuries when Mr Hoang's was found body near Whitehall Golf Club, who police originally believed was called Tinh Van Tran as they explored links to criminal gangs. The inquest heard there were two black bags alongside Mr Hoang's body, containing clothes and documents, while his shoes were clean, leading officers to believe he died elsewhere before being "dumped". An hour before the discovery, a white van had been seen in the area. There were notes in one of the bags detailing cannabis equipment and listing Newport telephone numbers. Det Con Nicole Lloyd said when it was opened there was "a strong smell of cannabis". "The evidence suggests he died at a cannabis factory. We believe it was in the Newport area, but we haven't traced that factory," added Det Con Lloyd. Pathologist Dr Derek James said that, while there were no visible injuries, one area of skin indicated Mr Hoang could have been electrocuted, but he could not conclude this was how he died. Coroner for South Wales Central Andrew Barkley described the "unsatisfactory circumstances" of the death, with "so many questions unanswered".